Wat Arun or the Temple of Dawn is situated on the west bank of the Chao Phraya River. This is one of Thailand’s best known landmarks. From Saphan Thaksin boat pier, take a river taxi to pier 8, then a shuttle boat to the other side of the river. Open daily from 8:30 a.m.- 5:30 p.m.
Wat Benchamabophit Dusitvanaram is commonly referred to as Wat Ben. It is also known as the Marble Temple because it was constructed in 1899 using Italian marble. Wat Ben also incorporates other European influences including stained-glass windows, rarely seen in Thai temples. 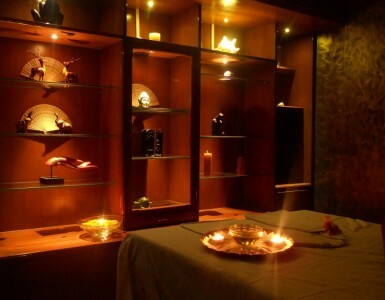 Located on the intersection of Rama V and Si Ayutthaya roads. Open daily 6 a.m. – 5 p.m.
Wat Mangkon Kamalawa, also known as Wat Leng Noei Yi, is the most important Chinese Buddhist temple in Bangkok. It is located in Chinatown, in a courtyard off Charoen Krung Road. To get there, take a river taxi from Saphan Thaksin pier to Ratchawong pier. Wat Phra Kaew or the Temple of the Emerald Buddha and the nearby Grand Palace are highlights of a Bangkok tour. Completed in 1784, it is Thailand’s most important and sacred temple. The Emerald Buddha holds great significance for the Thai people and is highly revered. To get there, take a river taxi from Saphan Thaksin pier to Tha Chang pier. Erawan Shrine at Ratchaprasong, a Hindu-Buddhist monument in the heart of the city – incense wafts through the crowds as classical dance performances play out, a feature which attracts tourists and the Brahma Sahampati devout alike. 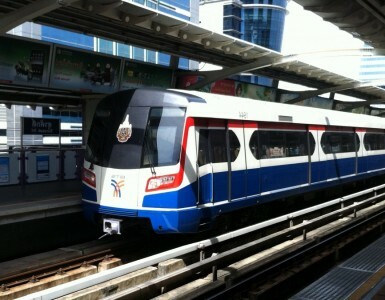 Ratchaprasong is located at the BTS Sky train’s Chid Lom. The area is home to many shopping malls and offers lively street scenes, throngs of people at all hours of the day, and a lot to take in, to do and to explore.